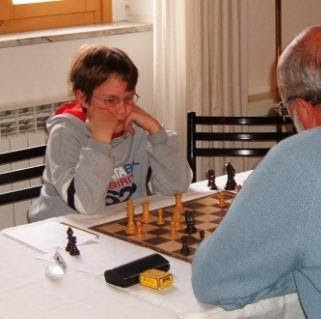 Ten-year-old Marco Codenotti, a former member of the Ray School Chess Club, is making news in the chess world following his stunning victory with the black pieces over International Master Zivojin Ljubisavljevic on the Island of Elba earlier this month. 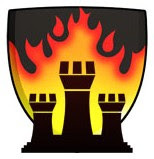 News of Marco’s achievement is being widely heralded in chess circles, not least by Grandmaster Susan Polgar, whose blog is perhaps the most popular in the chess world. Mida's Chess Corner has also figured mightily in spreading the word. Surprising though it may seem, Marco’s achievement reflects the steady progress he’s made since leaving Hyde Park in 2005 and returning to his native Italy. In the two years since, Marco has focused intensely on chess and trained with leading masters. And while he’s become something of a celebrity in the chess world lately, he and his family haven’t forgotten where it all began. “Everything for Marco started at Ray! So we are really grateful!” said Marco’s father, Bruno Codenotti, in an e-mail the other day. Marco, who attended the early grades at Ray while his family was living in Chicago, joined the chess club in 2005. In his first tournament, the Chicago Public Schools championship, held at Lane Tech High School, he finished among the top players in the K-3 div ision. He later played well in tournaments by the Youth Chess Foundation of Chicago. That summer, Marco did a nine-week stint with veteran trainer Wayne Smith, in the chess camp run by the Hyde Park Academy of Scholastic Chess. Unfortunately for Ray, his family returned to Italy right after that, taking Marco and his bionic chess skills with them. The rest, as they say, is history. According to Mida's blog, Marco now has a rating of 1809 in Italy. A rating like that with the U.S. Chess Federation would make him the No. 6 ten-year-old in the country. Congratulations, Marco. We’re extremely proud of you. If you like, please leave a message for Marco in Comments below. And Marco will soon have a FIDE rating of 1969 ! !